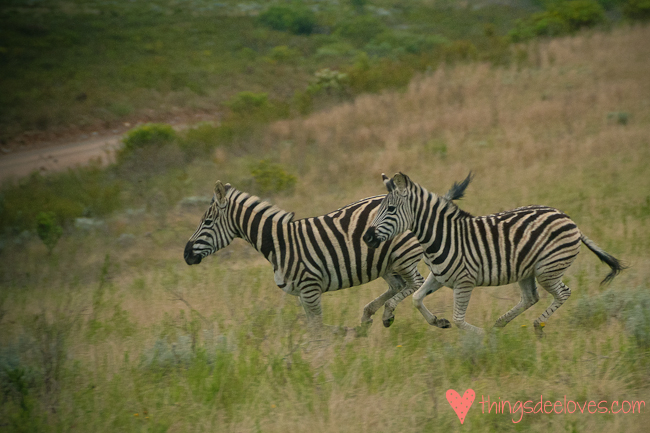 In my first post about our incredible time at Gondwana, I promised that I would share my tips for visiting this beautiful game reserve. 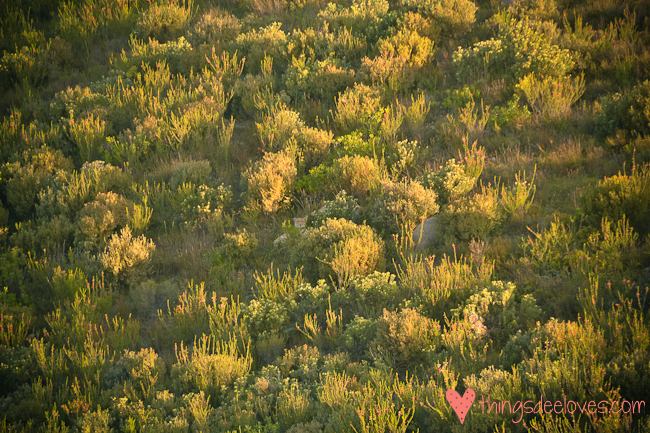 Many of them may seem obvious, and they’re certainly not specific to Gondwana, so I hope that they’ll be helpful in planning your next wildlife adventure! Even if the weather forecast predicts sunny skies, be sure to pack long trousers, closed shoes, a good jacket and a beanie. The range rovers are completely open to the elements, and things can get really chilly in the early mornings and after dark. 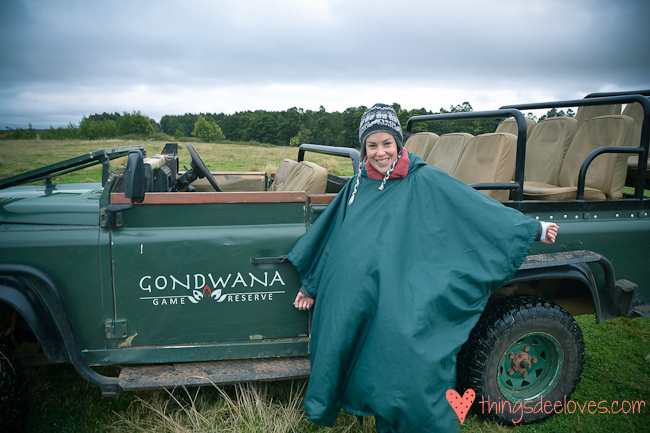 Gondwana also provides wonderful fleece-lined tents ponchos for the drives, which were very welcome. 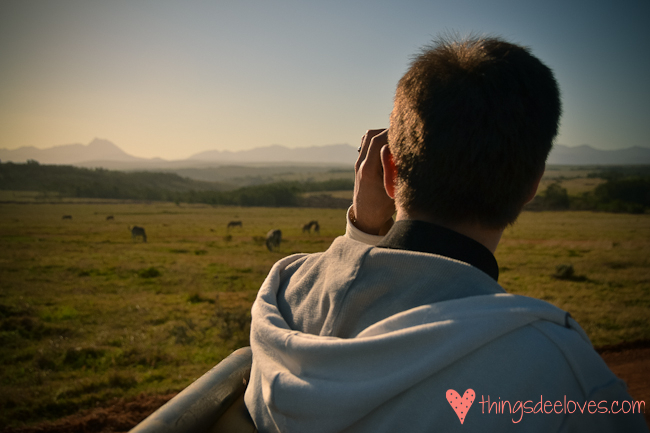 This may seem like a no-brainer, but out of the 3 families on our game drives, we were the only couple who brought binoculars. The rangers are great about getting as close to the animals as possible (most of the animals are really used to the range rovers, and hardly bat an eyelid), but the binoculars really helped to see the incredible details of the animals, like the long eyelashes of the giraffe, or the fuzziness of the baby elephants. They were also useful in identifying animals in the distance (at one point I had managed to convince everyone that I could see a lion in the distance, but upon closer inspection it turned out to be an innocent domestic cow on the other side of the fence). As an aside, if you can see an animal in the distance, it’s probably a zebra. 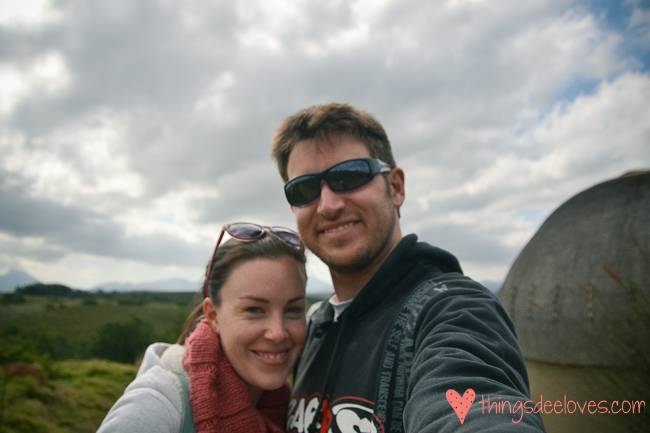 G decided upfront that our 3 days at Gondwana were going to be technology-free, so as soon as we arrived we switched off phones, tablets and laptops. And you know what? We SURVIVED. And you know what else? We didn’t actually miss out on anything (apart from the announcement of the royal pregnancy). It was such a relief to not be constantly concerned about checking emails or Facebook or Twitter, and I actually found myself pitying the other guests who were checking their phones during drives or meals. So give the reserve phone number to friends and family in case of emergencies, and SWITCH OFF! As part of the full board package at Gondwana you are offered two games drives, one in the morning and the other in the late afternoon. So over the course of our stay we went on 6 drives over the 3 days. This may seem excessive, but I was too paranoid that if we missed one game drive it would turn out to be the most epic game drive in the history of game drives. 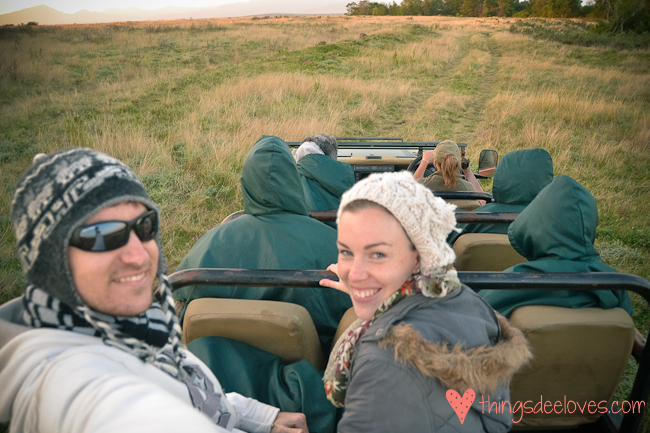 Each of our drives was completely different, and offered a unique chance to experience the wildlife up close, so I can really recommend that you go on all of them. Don’t let the early morning wake-up call scare you, you will have plenty of time to snooze in the sunshine by the pool or next to the fireplace in your room. 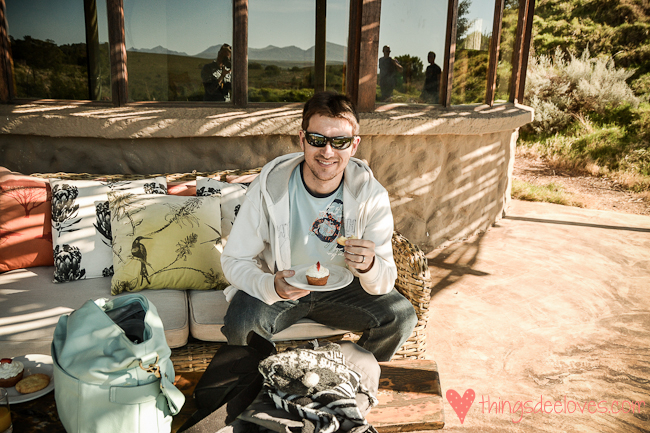 You WILL eat a lot at Gondwana, so put any diet aspirations aside, relax, and enjoy yourself! Thank you for sharing your tips and journey with us! Looks great! Such a pleasure, we had an amazing time!